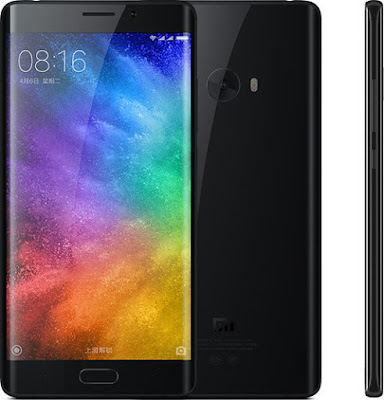 When we mention Xiaomi Mi Note 2, you may feel very hurt for its stock, especially for those ordering Xiaomi MI Note 2 without getting it on time. This dual curved smartphone can be the most beautiful flagship for Xiaomi. This is a classic phone to be worthwhile to have a try. Xiaomi MI Note 2 is powered by Snapdragon 821 Quad core processor, RAM 6GB, 23MP back camera, dual 3D curved screen, aluminium alloy middle frame, which is a really beautiful smartphone. But the main issue should lie in this curved screen, because Xiaomi MI Note 2 dual curved screen is supplied by LG exclusively, there are two shortcomings about this dual curved screen of LG, one is low production effectiveness, the other is the poor screen quality, white, low brightness, etc. So until now Xiaomi MI Note 2 is still lack of stock, it’s hard to spend the original price buying one. And the first generation of LG curved screen makes Lei Jun unsatisfied. But that’s fine, because this kind of issue will be highly improved, and the new upgraded version, Xiaomi MI Note 2S will be released soon. According to supply chain relative staff, the new Xiaomi MI Note 2S will adopts Samsung Curved screen, it will be released next month or March, and they will improve the MI Note 2 screen problem, and there are other places upgrading. But it is said that this batch of Samsung Curved screen will be used on Xiaomi MI6, if so, the design of Xiaomi MI Note 2 may be the design of Xiaomi MI6, only upgrading the processor to Snapdragon 635.